* A controversial bill allowing consumers to seek restitution from insurers alleged to have defrauded has failed in Montana — well, maybe. Consumers would’ve sought repayment through the insurance department, though Gov. Steve Bullock vetoed the bill this week. Yet the veto didn’t signal reassurance to insurers. Bullock told lawmakers to amend the bill. Let consumers seek civil remedies along with the commissioner-ordered restitution, he says. Then he’d sign the bill into law. His veto message: “Unfortunately, the bill stops short of providing Montana insurance consumers the complete protections they need. It is important to remember that restitution may not be the only remedy available to consumers harmed by an insurance company. A consumer may pursue these other remedies on their own, without the assistance of a state agency. To protect consumers, the law must be clear that when the Commissioner orders restitution, the Commissioner does not — and may not — waive a consumer's other remedies under the law.” The legislature is in session only until May 1, so the clock is ticking away for the amendments. 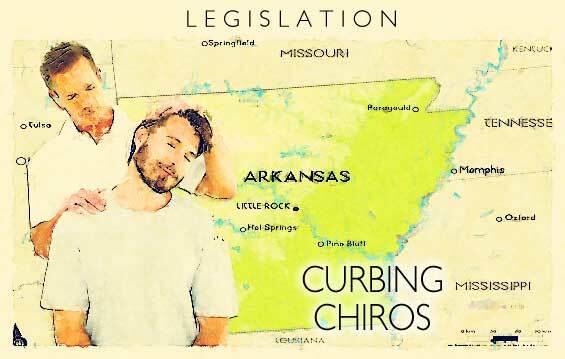 * Arkansas legislators want to rein in overly aggressive chiros who chase crash victims and falsely charge insurers. 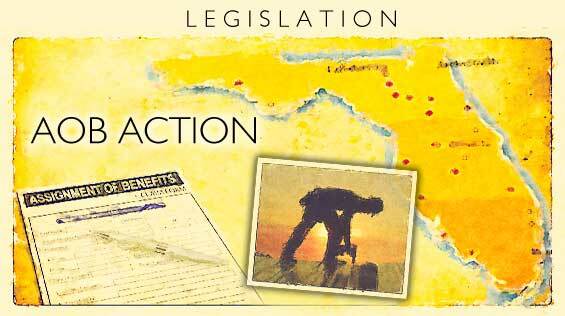 A bill filed last week has passed the House overwhelmingly, and is now in the Senate. Among the provisions: Chiros are forbidden to claim an affiliation with an insurer, or promise that insurance will cover treatments. … Anyone soliciting patients must register each year with the state chiro board. … Chiros may not promise a crash victim anything of value for treatment. … Nor can solicitors make misleading or deceptive statements, or use a fake name or phone number not registered with the state board. Violators would be blocked from collecting fees for treating crash victims. * The insurance commissioner would gain much more authority over arson investigations and prosecutions under a bill in North Carolina. Suspected arson fires would be investigated by the commissioner through the State Fire Marshall. Investigators would report initial findings to the commissioner within 7 days of the fire. The DOI, through the Fire Marshall, also would oversee arrests and prosecutions. Setting fire to a commercial building also would be a specific felony. Arsonists who cause injury or death of a firefighter, law enforcement officer, fire investigator or emergency medical tech would face greater felony charges and jail sentences. * Kentucky is looking to step up fraud reporting and accountability with a proposed new reg. Insurers would have to report suspected fraud to the insurance department within 14 days. Insurers also would submit fraud plans, and updated compliance reports every 2 years. The compliance reports would include data on staffing levels and use of vendor services. The proposed rule would help better ID bogus claims by: educating claim teams about fraud … and increasing cooperation among insurers, the insurance department and law enforcement. Fraud reporting would continue via the state’s reporting site or by sending the DOI a Uniform Suspected Insurance Fraud Reporting Form. The proposal is open to public comment through the end of this month. A public hearing is set for April 22 in Frankfort. The Coalition is reviewing the proposal to consider filing comments with the DOI. We welcome your feedback by contacting Matthew Smith. * Patient brokering would be a specific felony under a proposal legislators soon will take up in Pennsylvania. Pain clinics, chiros, physicians or rehab facilities, such as sober homes, all fall within the anti-brokering prohibition net. Swindlers seek out those claiming injury or in need of treatment and often falsely bill insurers for inflated and unneeded treatment or rehab. Such practices generally focus not on quality care, but churning more profit-making referrals, bribes and false insurance billings. In a step-ladder sentencing approach, such actions would be felonies with fines and jail terms increasing for 10 or more violations, and for 20 or more. * Telephone soliciting for medical, auto repair or legal services often is the first step to inflated or fraudulent claims. Consumers who receive these come-ons are often angry, and legislators across the U.S. are starting to pay attention. 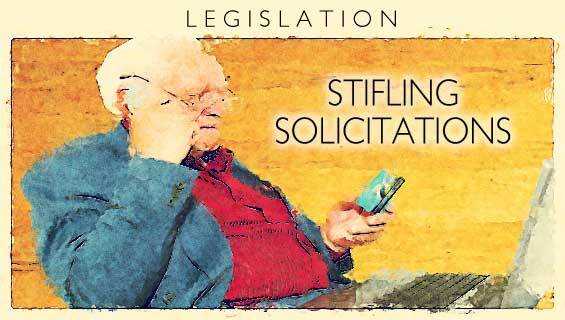 Legislators in 5 states are working to limit telephone soliciting, and require accurate ID of the callers. Kentucky already has enacted a new law that prohibits misleading caller ID or misrepresenting the call’s origin. Violators face jail time ranging from 90 days to a year, plus fines of $500-$5,000. SB 95 and SB 7 are pending in the Alabama Senate. Bills also are active in Hawaii … Maine … and Texas. * Unlicensed public adjusters in Louisiana could face up to 2 years of hard labor in state prison plus fines of up to $1,000 under a new bill. A person or business assisting an unlicensed adjuster could draw the same criminal charges and penalties. Since businesses cannot do hard labor, their fine would be up to $5,000 per violation of the state PA licensing law. Adjusters also must pay restitution for insurance payments the court determines weren’t owed on a fraudulent claim. * Medicaid fraud in West Virginia will be investigated and prosecuted by the state’s AG, starting October 1. Gov. Jim Justice recently signed the bill into law. The state’s Medicaid Fraud Control Unit originally was established within the state Department of Health and Human Resources. The unit investigates fraud and abuse of medical programs overseen by the state. Legislators and the governor agreed that massive Medicaid fraud is better tackled by having the AG oversee both investigation and prosecution of Medicaid scams. * An expanded definition of insurance fraud, more authority to chase down fraudsters, and stronger cybersecurity requirements are among the provisions of a far-reaching bill in North Carolina. Expanded fraud definition. Insurance fraud would include “an act or omission … committed by a person with the intent to injure, defraud, or deceive…” More commissioner authority. The insurance commissioner would gain more authority to collect records … issue subpoenas … execute search warrants … and arrest fraud suspects. Cybersecurity. Expanded cybersecurity is required to safeguard business and personal info from cyber-attacks, and develop response plans. It’s the NAIC’s sweeping model cybersecurity act, which South Carolina and Ohio already have adopted. … Insurer fraud plans. Insurers would file updated anti-fraud plans with the commissioner. They’d include procedures for detecting and investigating possible scams … reporting possible cons … and requiring anti-fraud training. * An increase of insurer assessments would fund more investigation and prosecution of automobile scams and theft in California. Insurers now pay the insurance department an annual assessment of up to $1 for each insured vehicle in the state. That money funds increased investigation and prosecution of automobile insurance scams and theft. Some 5 cents of that assessment goes for enhanced automobile insurance fraud investigation by the department’s fraud bureau. The bill would increase the $1 assessment to $1.36 and eliminate the 5-cent fee. Separately, insurers also now pay up to 50 cents per vehicle to fund the Organized Automobile Fraud Activity Interdiction Program. That would increase to 74 cents under the bill. 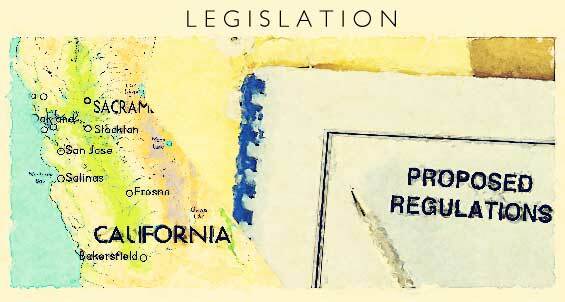 * Industry leaders support high standards for insurer fraud referrals to the California insurance department. But a sweeping draft SIU reg designed to improve referrals goes too far. That was the theme of a meeting the department held to seek comments this week in Sacramento. Forbidding redacting info in referred claim documents could void attorney-client privilege. A suggested change: Provide the insurance department with a privilege log identifying what was redacted. Also potentially overreaching: requiring both extensive training of investigative contractors, and turning over staffing level and referral statistics from across the nation. Regulators said they’ll carefully consider all suggestions. The draft faces more internal review. Another meeting is possible before the formal hearing process begins. * Make it a crime to market or install counterfeit airbags, the Coalition urges the governor of North Dakota. Legislators, led by Rep. George Keiser, overwhelmingly passed a bill making it a specific crime to market or install phony airbags. The Coalition’s airbag partner Honda North America also strongly endorses the measure. 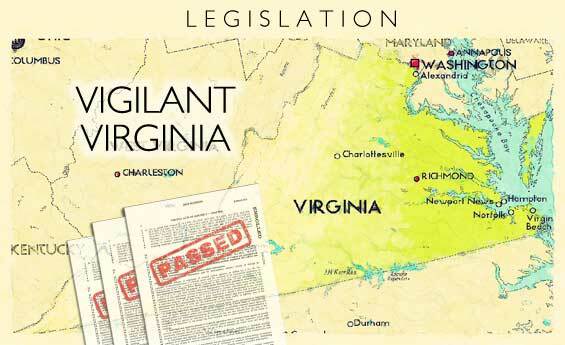 The bill awaits Gov. Doug Burgum’s signature, with Coalition support. * In Kentucky, 2 Coalition-backed bills that tackle crash rings and other cons await Gov. Matt Bevin’s signature. Boost criminal penalties. HB 151 would: boost criminal penalties for fraudsters by aligning penalties more closely with the state’s criminal theft statutes. … improve reporting of fraud by the state medical board … and prohibit medical self-referrals by doctors. Staged crashers are special targets. “We believe enactment into law of HB 151 will assist not only in combatting these types of scams but also many other acts and types of insurance fraud activity,” the Coalition wrote Bevin this week. Soliciting crash victims. HB 84 would prohibit misleading caller IDs or deceptively misstating the call’s origin. Cold callers try to solicit crash victims for bogus PIP claims. Hounding victims is common in Kentucky, especially in the Louisville area. The bill would impose jail terms of 90 days to 1 year, and fines of $500-$5,000. * The battle over assignments of benefits rages like a hurricane in Florida. Two bills are elbowing for votes in the legislature. The most talked-about bill is a Senate measure. It would partially limit controversial one-way attorney fees. Currently, policyholders often are misled about AOBs. They don’t realize that signing AOBs surrenders all rights under their policy. This includes the right to sue their own insurer. The contractor who secures the AOB now owns that right in full. This incentivizes dishonest contractors or other vendors to take over repair claims, inflate them, then sue insurers behind the unsuspecting homeowner’s back. AOB abuses are imposing large repair losses, inviting fraud — and causing homeowner premiums to rise throughout Florida. Sen. Doug Broxson’s bill cleared the Judiciary Committee this week. A House measure cleared the Insurance Committee on Tuesday. It would impose more reforms, though is unlikely to go far.